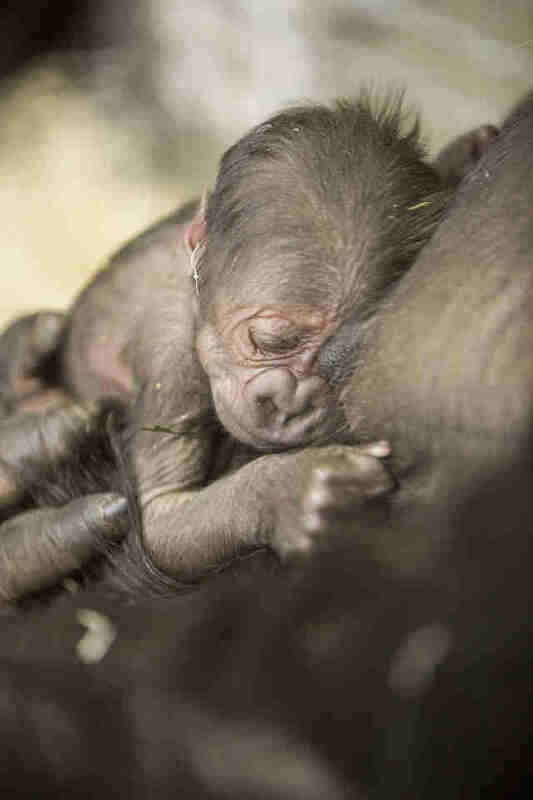 The Lincoln Park Zoo welcomed an adorable new member of its family last week, a healthy, female baby western lowland gorilla. Brace yourself for the impending cuteness overload. 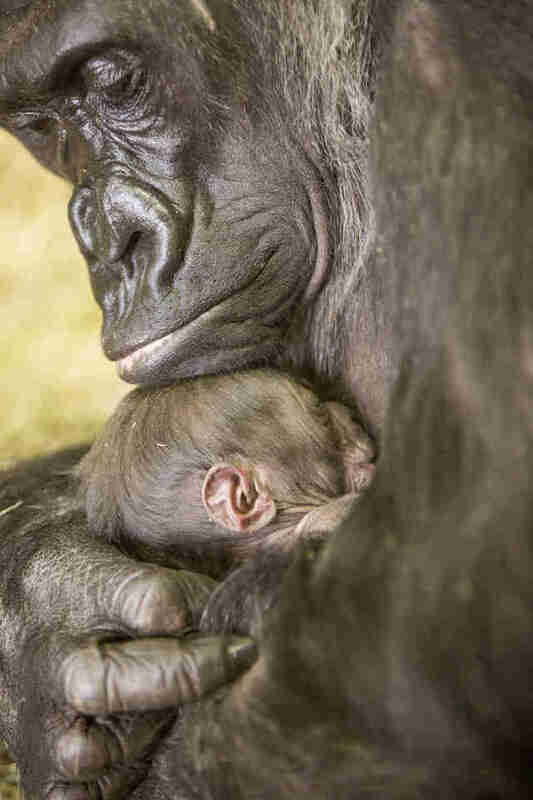 Zoo officials said the newborn appeared to be doing well with mama gorilla Bahati, 27, keeping the baby girl close at her side and tucked in her arms. 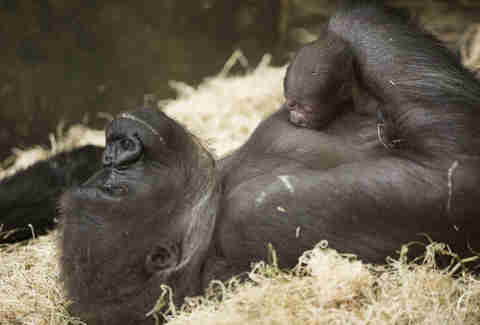 Meanwhile, the baby's father, Kwan, 25, kept a close eye on both the baby and her mother, according to the zoo's announcement. “As with any birth, we are cautiously optimistic about the latest arrival," Maureen Leahy, curator of primates, said in a statement. 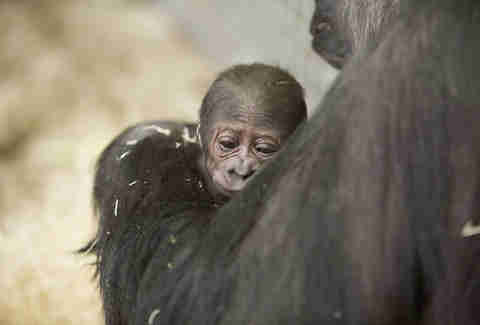 "Bahati is an experienced mother whose maternal instincts are what we would hope to see with a newborn gorilla." Because of destruction to their habitats and poaching in central Africa, western lowland gorillas are "critically endangered," according to the zoo. 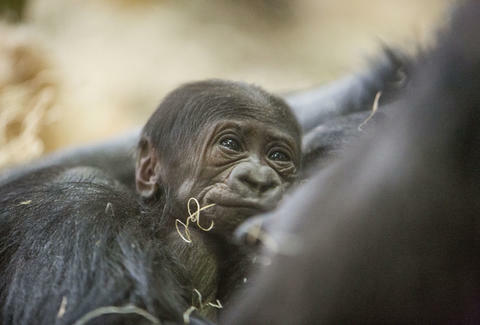 The rare baby, born Feb. 24, joins the zoo's existing group of six gorillas like her half-sisters, Nayembi and Patty, who were also born at the zoo in 2012. A zoo spokesperson told Thrillist by email Monday that the zoo has not yet selected a name for the infant, and according to the announcement, the officials are working with a donor to come up with the name, but we like the sound of Rosie. Or what about Isabella? Those are cute, right? Tony Merevick is Cities News Editor at Thrillist and is still trying to get over this cuteness overload. Follow him on Twitter @tonymerevick.